Last week I was surprised to find the Windows Intune Company Portal as a APPX file on the download area of the Microsoft Homepage. So I thought that it should be possible to use this Company Portal in the SCCM integrated Intune Scenario, rather than the old xap-File. 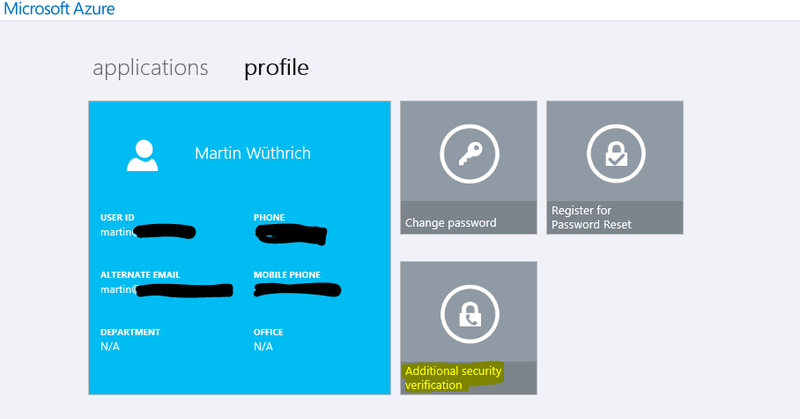 today I would like to show, how End-Users can configure their Multi Factor Authentication for Windows Azure Logons. This might be important for them, because they could have different choices on how they would get contacted. With the Windows Phone 8.1 Extension for Windows Phone 8.1 in System Center 2012 Configuration Manager R2 we are able to manage Black or White-Listing for those Devices. In this Blog post, I would like to Show, how you can achieve Blacklisting of Publishers and/or applications.